Stunning 4 bedroom house in Belvedere with panoramic Sea & Mountain views! 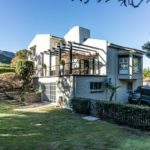 This stunning 4 bedroom 4 bathroom home in Belvedere has panoramic views of Noordhoek Beach and Chapmans Peak mountain range. The house has modern, clean, quality finishes. The rooms are very spacious and you have a view from nearly every room in the house. 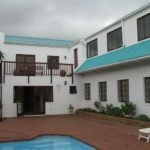 All four bedrooms are upstairs, all bedrooms are en suit and three have access to the upstairs balcony. Downstairs is the lovely open plan kitchen, dining room & lounge that leads out onto the patio, braai & pool area. There is guest loo & office space that could be converted into a separate flatlet with its own entrance. The kitchen scullery extends to the back of the house, this leads to the garage & laundry room. There is a store room & toilet off the garage. The garden has a small jungle gym and a wendy house at the back. 1 ACRE EQUESTRIAN PRIME PROPERTY IN CROFTERS VALLEY! The main house consists of 3 bedrooms, a spacious lounge,a dining room, 3 single garages and parking for at least 5 cars. Private pool area with a braai room currently a self catering cottage. Domestic cottage plus 3 garages used as an art room. 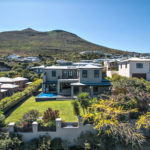 Situated in the heart of Chapmans Peak and only 5 minute walk to Noordhoek Beach you will find this lovely 3 story home with magnificent mountain views. Beautiful Vacant Plot with spectacular False Bay Sea Views! Stunning vacant plot with spectacular views of False Bay. 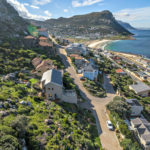 Once your dream home is built you can relax and enjoy the whale watching, yachts going into Simonstown harbour and with the new Harbour View Mall you have restaurants, shops, cafe’s and a medical center at your fingertips. Nobody can build in front of your uninterrupted Sea View, The Plot is 888 m².